A vigil has been kept for the last three days at the Fourth Precinct headquarters of the Minneapolis police on Plymouth Avenue North. Members of Black Lives Matter are demanding justice in the case of Jamar Clark, who died today after being shot in the head by police early Sunday morning. The Way, Plymouth Avenue, 1975. 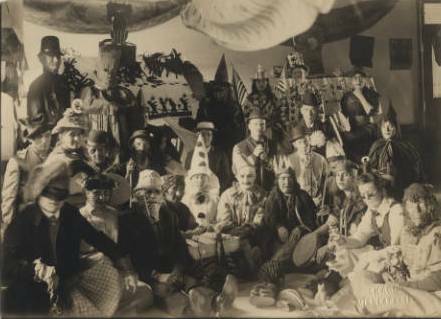 Image courtesy of the Minnesota Historical Society. 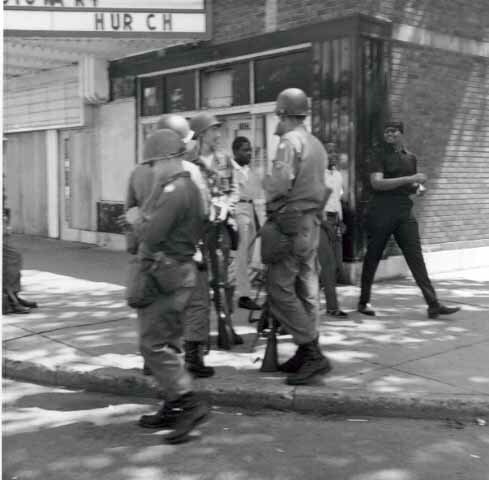 The short-lived unrest of 1966 was dwarfed by the events of 1967, which is now known as the “long hot summer” in the United States. Violence in Minneapolis erupted at the annual Minneapolis Aquatennial Parade and moved up Plymouth Avenue after police clashed with a crowd of 200 people. 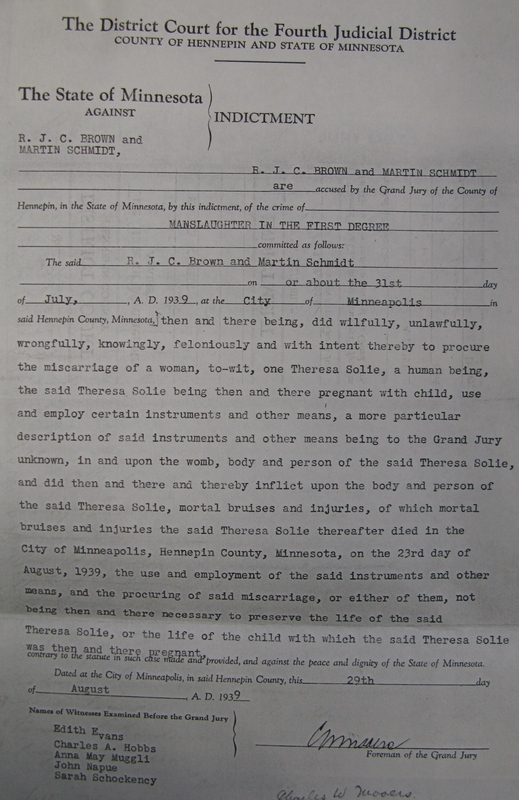 On July 21st, Minneapolis Mayor Arthur Naftalin requested assistance from the National Guard. 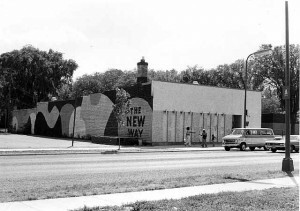 Troops were stationed in North Minneapolis, where a series of fires had destroyed businesses along Plymouth Avenue. The best account of this unrest can be found in the history of North Minneapolis directed by Daniel Bergin of TPT. 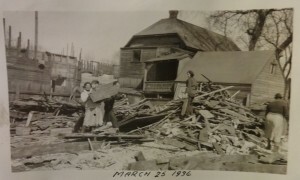 Cornerstones puts the history of this unrest in the greater context of the neighborhood’s development. Minneapolis was just one of 159 cities that went up in flames that year. 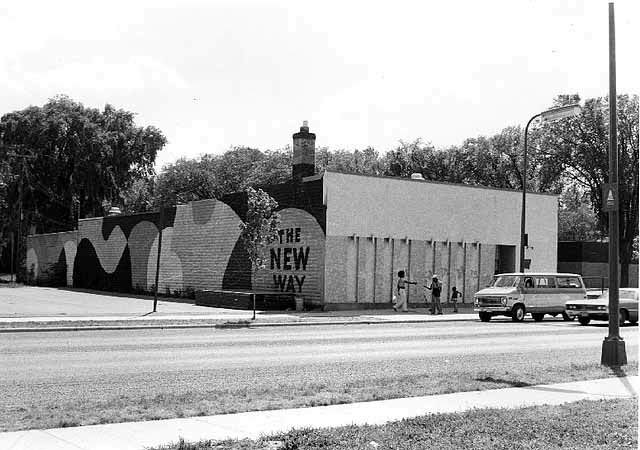 Remembered in some quarters as a riot and in others as a rebellion, this unrest grew out of a broad frustration with the conditions of life in North Minneapolis. Residents decried segregated housing, constricted economic opportunities, struggling schools and police brutality. Quotes are taken from the pamphlet, “The Way of the New North Side,” from the records of the Phyllis Wheatley Community Center, Minnesota Historical Society. 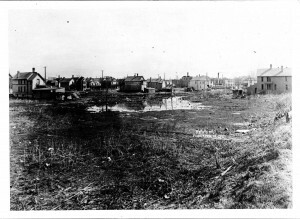 Images show Plymouth Avenue and are from the Minnesota Historical Society. It’s Map Monday. Our guest blogger today is Daniel Bergin, Senior Producer at Twin Cities Public Television and the director/producer of “Cornerstones: A History of North Minneapolis.” First broadcast in 2011 on TPT’s Minnesota channel, this documentary about the history of the enclave known as the “Northside” was co-produced by TPT and the University of Minnesota’s Urban Research and Outreach-Engagement Center (UROC). Bergin writes here about two maps he found while researching “Cornerstones” and what they can and cannot reveal about the city’s near North side. Maps can present context, scale and scope. But it often takes the voice of the people to provide a meaningful ‘legend’ to interpret what cannot be conveyed in the abstract representations of a map. In producing “Cornerstones,” I came across two different maps that provide better understanding of this storied section of the city. 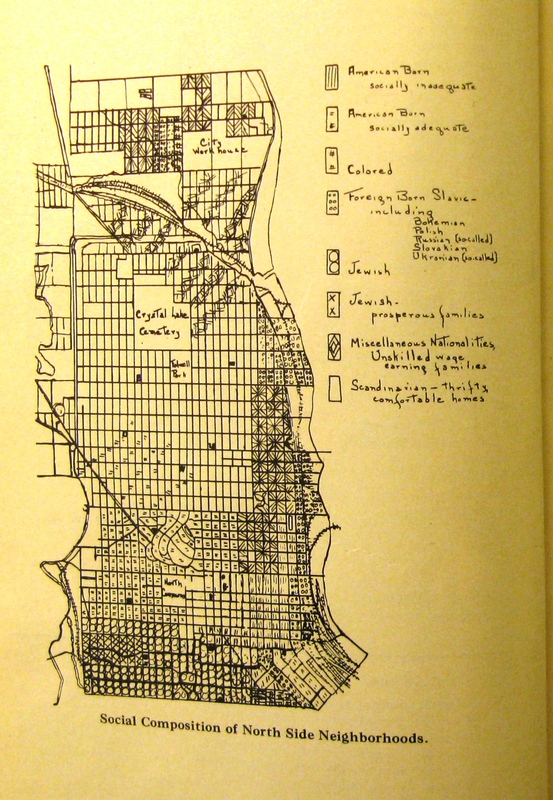 But it was the voices of the people that helped me understand what these maps conveyed and what they obscured. 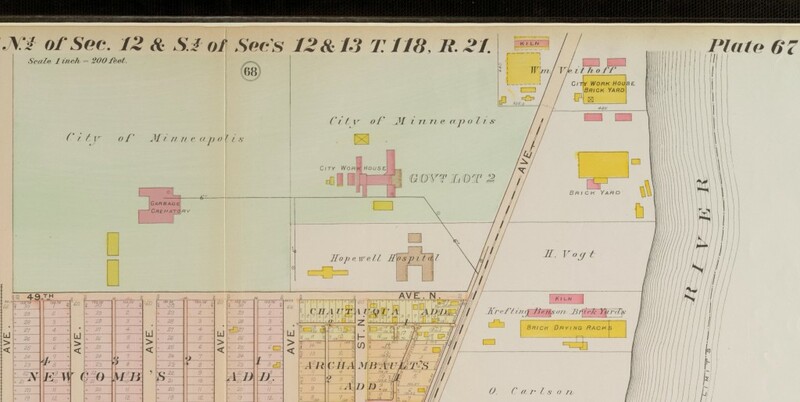 Both maps show Sumner Field, an area of near North Minneapolis that has been reshaped several times in the last century and a half. This multi-block area’s built environment and landscape has evolved from ramshackle, immigrant housing to the pleasantly manicured and landscaped community that is today’s Heritage Park. A common element throughout this evolution, however, is the green space known as Sumner Field. This approximate area is seen in both of these maps. 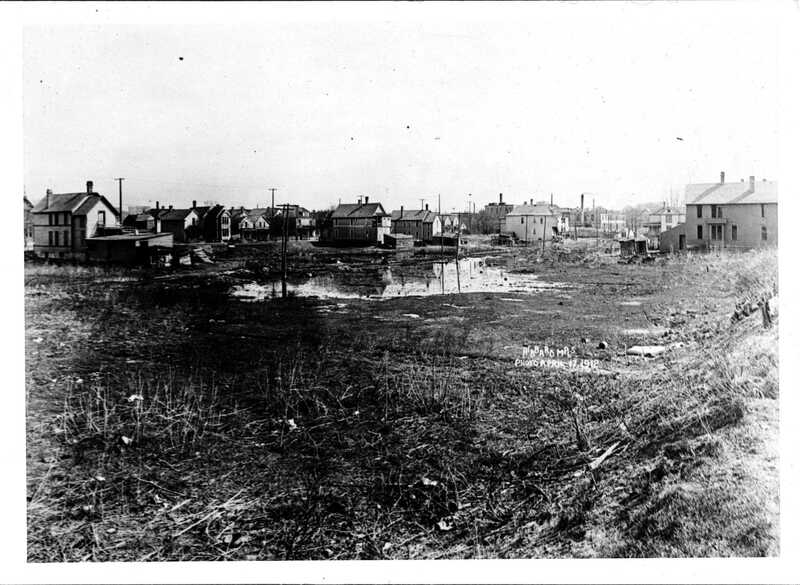 Sumner Field, before construction, c. 1930s. 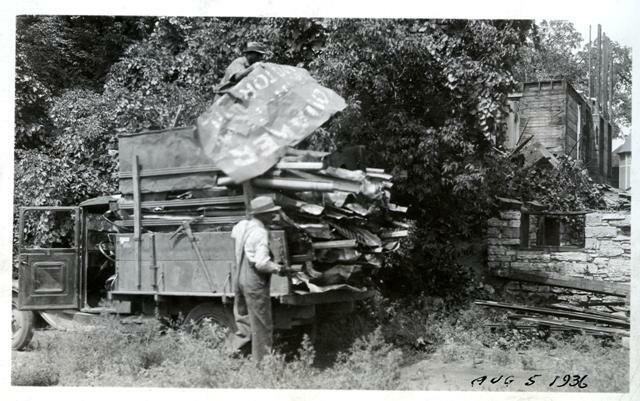 From the collection of the Hennepin County Library Special Collections, uncatalogued newspaper photos. Thanks to Rita Yeada for digitizing. The map at the top was hand-drawn creation by Northsider Clarence Miller. His graphic curio is on display at the historic Sumner Branch library. 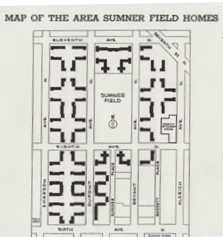 Sumner Field is the center of this brilliant layman’s map. One gets the sense that this meticulously crafted folk-artwork is as much a quilt as it is a map. 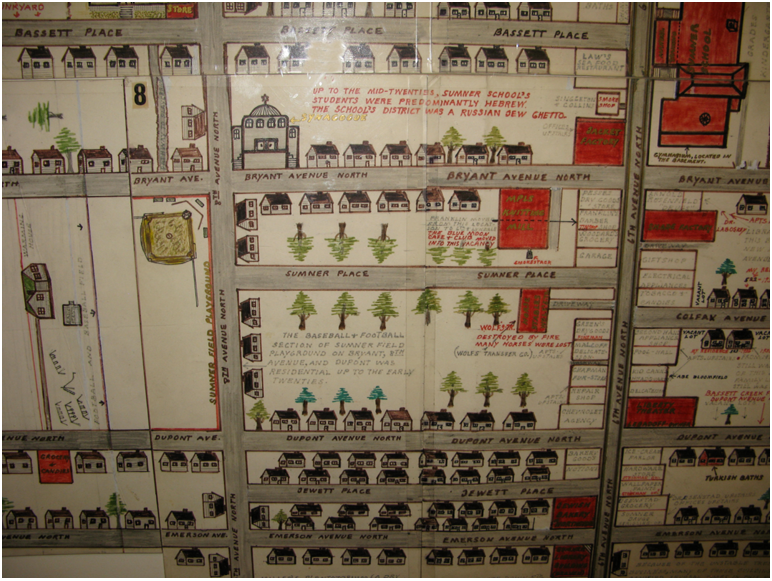 Neither map illuminates the racial boundaries that were seen as necessary for social order in the city that would become known as a bastion of racial equality under mayor Hubert Humphrey after World War II. 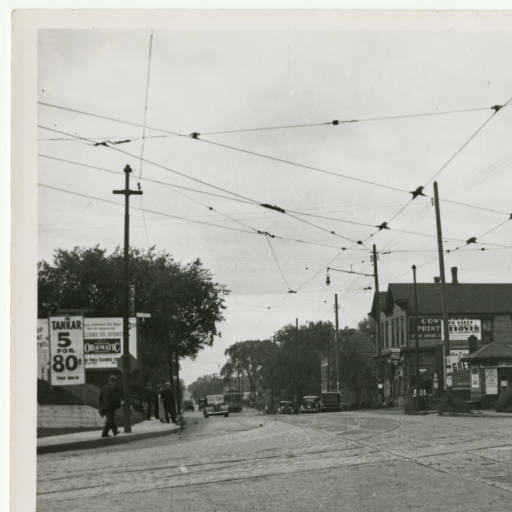 For more about the history of Sumner Field and north Minneapolis, click here to watch Cornerstones. Both maps are from the collections of the Hennepin County Library. 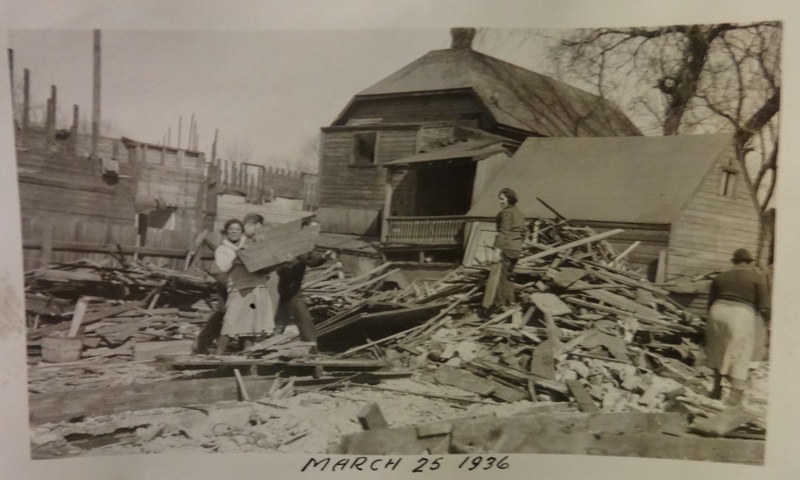 The forgotten neighborhood of Oak Lake Park, 1936. More photos digitized by Rita Yeada when we visited the tower archives at City Hall on Tuesday. In these images, demolition of the once-grand Victorians is in process. Oral histories of the North Side recount how nothing was wasted or thrown away in this neighborhood, which was home to some of the city’s least affluent and most entrepreneurial residents.